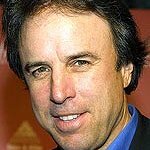 Weeds star Kevin Nealon has recorded a series of humorous public service announcements as part of a fundraiser for the Boys & Girls Club of Lake Tahoe that will raffle off a $650,000 home. The goal of the raffle is to raise $1 million for the club housed in an old middle school in South Lake Tahoe, and about 1,100 tickets have been sold so far – but organizers say 7,000 must be sold by March 1 to make the $1 million mark. Nealon – who is well known for participating in charity golf events – recorded four PSAs in November. The 2,100-square-foot home has three bedrooms with views of the mountains and forest, and the odds of winning it with a single $150 ticket are approximately 1 in 7,000. To purchase tickets, visit the Boys’ and Girls’ Club of Lake Tahoe website.